When Christoph Waltz was figuring out which actor should star in his directorial debut, he knew he needed someone with the kind of potent intensity he himself had brought to his many roles. 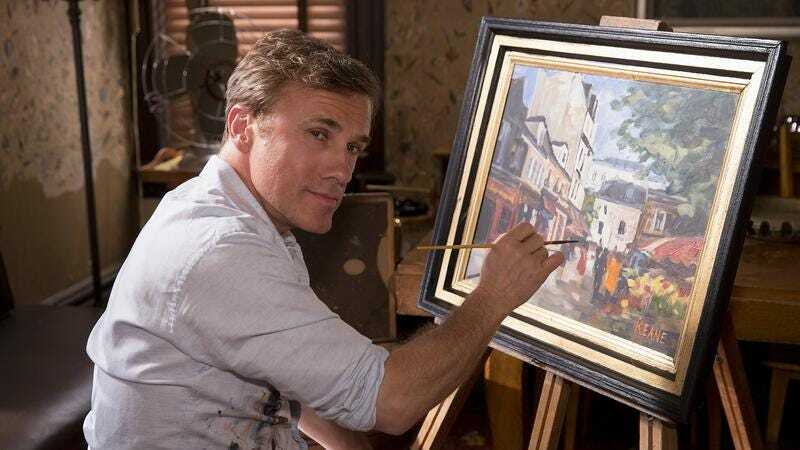 He searched far and wide, until finally realizing there was only one actor on Earth who could bring a Christoph Waltz-like level of commitment and talent to the part: Christoph Waltz. Variety reports that the actor is now set to both direct and star in The Worst Marriage In Georgetown. The project—like seemingly half the films in Hollywood right now (thanks, Argo)—is based on a piece of journalism, in this case one by Franklin Foer for The New York Times Magazine. It tells the story of Albrecht Muth (Waltz), an “eccentric social climber who seduced and married a wealthy older widow, Viola Drath. Muth and Drath entered the top political circles as they threw lavish events, with Muth lying extensively about his background—which came to light after Drath was found murdered in 2011 at their home in Georgetown.” Muth was eventually convicted of first-degree murder and sentenced to 50 years in prison. The script for the film was written by Pulitzer Prize winner David Auburn. Between this and Big Eyes, Waltz is really carving out a niche for himself as the go-to guy for roles that involve people lying about their backgrounds. Hopefully his upcoming turn as a Bond villain in Spectre will involve him shamefacedly confessing that he’s never actually hurt anyone, just in time for Bond to murder him.